Professional pet sitters know that animals are known for saving other animals from predators, but they are also known for saving humans from danger. We are so used to hearing negative stories about Pit Bull Terriers attacking or biting people that I thought it might be refreshing to hear some positive stories that are often swept under the rug because we seem to be a society that values drama, sensationalism, blood and gore over positive happy endings. Read more here. This is the time of year when we start to think of the warmth of spring. And the shedding of heavy clothes in exchange for sleeker summer styles. And we start to think of our physique, and any extra pounds we may have added over the long winter. While our pets do not suffer with the insecurities of body image, they do suffer many of the same health risks that we do with added weight. These can be serious, life shortening diseases, and minimally they decrease the quality of our friends’ lives. It is an ever more common problem for our pets. A recent survey conducted by the Association for Pet Obesity Prevention found that 53% of dogs and 58% of cats were overweight or obese. That means that over half of our pets are at risk for serious health problems! Read more here. We know you love pets just like us, but how well do you know them? Prize: Pride Bites, Sadie the Squirrel, it floats! It squeaks! It’s durable! Measures almost 9” tall! March 20, 2014. Winners will be randomly selected from the entries that have all five or most correct answers. Simply email your responses to cole@gooddogcoaching.com Subject: pet trivia contest, to enter! Ready? Let’s begin! Q: Most core vaccines have been shown to protect dogs for how long? Q: Your pet is considered overweight if their weight is what percent above ideal body weight? Q: Overweight pets are at risk for developing what illness? In large bowl, combine dry ingredients. Blend in the eggs. Stir in water and apple. Mix until dough forms. If dough is still unworkable, add enough broth so it will come together. Knead and roll on lightly floured surface until smooth. Cut with cookie cutters and placed on lightly greased cookie sheets. Bake at 325 until brown and crunchy, about 10-12 minutes. 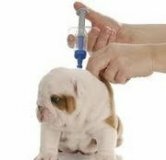 Are Your Pet's YearlyVaccines Necessary? Curbie is a sweet little cat that shares his home and humans with his four siblings. Curbie loves to play with toys, chase treats across the floor and of course loves a good back scratch. He is well loved and taken care of by his humans and can often be found lounging in the sunshine. We are an organization dedicated to the rescue and adoption of Boxers in the metropolitan-Atlanta area, and to provide support and education for Boxer owners. We are operated and managed by a group of dedicated volunteers, and we are funded by adoption fees, fundraisers, and gifts from generous donors like you! Read more here. and join in the festivities. This a great event put on by the Gwinnett Humane Society. "We have used Terie for both training and pet sitting. The difference is amazing ! We can walk the dogs with confidence, they are less hyper and even allow guests to enter with ease! Can’t believe how much difference a few training sessions made. Our doggies love having you visit with them!! We are so comfortable knowing our girls are receiving the best care when we are away." "My overall experience with Good Dog! Coaching & Pet Care was excellent. The dogs were super excited and seems they had a blast with you. Thank you."